Gonzalo Pérez de Vargas has signed a contract extension that will keep him at FC Barcelona until 2023. 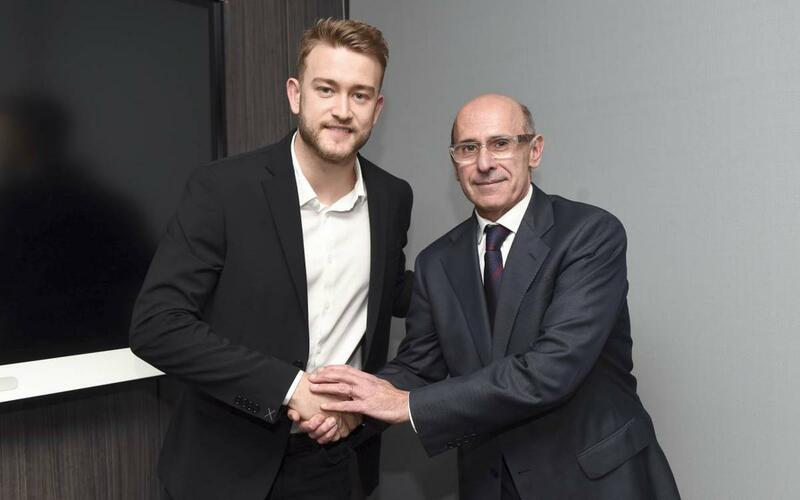 The Barça Lassa keeper put pen to paper on Wednesday at the Club’s offices accompanied by the Club director responsible for handball, Joan Bladé, and the sporting manager of the handball section, David Barrufet. Pérez de Vargas is currently in the form of his life. Last season he was included in the VELUX EHF Champions League Ideal Team as the best keeper in the competition. The 26 year old from Toledo in Spain arrived at FC Barcelona in 2007 to join the youth system at the Club. On 19 September 2009 he made his debut for the first team before heading off on loan to BM Granollers then French club Toulouse to gain experience. Since his return to Barça in 2014 he has won two Champions League titles, four league titles, five Asobal Cups, two Super Globes, five Spanish Super Cup and five Catalan Super Cups. With the Spanish national side he won a bronze medal in 2014 in the European Championships which was followed by a silver two years later.